The Pros and Cons of Indoor Vertical Farming - One of the countries in the world that earns benefits of indoor vertical farming is Australia. In the deserts of Port Augusta, Australia, Sundrop Farms operates a 49 acre indoor farm that produces 17,000 tons of fruits and vegetables. 180,000 non-GMO tomato plants, grown without soil, herbicides or pesticides supply 13% of all the tomatoes consumed in Australia. Yah, Indoor Vertical Farming is a great idea for future agriculture technology with the help of which one can minimize the land usage while still feeding the masses. It is not difficult to adopt this farming method; just find a fertile urban land, create blocks through concrete and glass and then start farming the vegetables, fruits, poultry, and fish on it. All this will be happened in a structured and controlled environment. Surely, you will be interested in indoor vertical farming advantages and disadvantages, for you we will going to explain both. There are many advantages of using a indoor vertical farming method however there are also disadvantages of using one of these method. Efficient and effective Method: There are a number of people who diverted from traditional farming to vertical farming because they thought that this method is quite efficient and effective. Because there is no soil in this farming method, automatically there are no weeds, then farmers don't need for herbicides and they don't need to spend his amount on pesticides or on insecticides; everything is produced in a controlled environment so there are less chances of attack of pests and insects. No need for field fumigation with highly toxic chemicals such as methyl bromide. No need for tractors, and other expensive tillage equipment. Reduces the use of water: When you compare the indoor farming with traditional farming then you come to know that the former method reduces the water waste to a great extent. Almost 70% of the world’s drinkable water is used for conventional farming while only 30-40% utilized for Indoor Farming purpose. The reduction of water waste is another indoor farming advantage. Indoor farms recirculate and reuse their water, and average 95% less water to grow the same crops, as compared to open field farming. When the plants and crops are grown in these farms then transpiration process starts. This process makes it feasible for the farmers to reuse the water for irrigation purpose. The chances of water waste become minimal and therefore this method is helpful in resources conservation process. Plants grow faster and have higher yields: If you’ve already read about the many benefits and advantages of indoor farming over soil-based growing, you’ll see that one point that is often emphasized is that indoor farming yields produce faster and in greater quantities. Internet feedback from growers indicates that their indoor farming crops grew anywhere between 20 and 50 per cent faster than the same crops grown in soil. The main reason why plants grow quicker in indoor farming method because The growers can create the ideal blend of nutrients and all nutrients are recyclable. These nutrients are received directly by the roots, the plants aren’t forced to expend energy in search of nutrients as they would in soil, where plant food becomes diluted. As a result, the root systems in hydroponically-grown plants don’t grow out and so this growth is now realized in the form of upward growth. Protection from Climate Changing: One of the best indoor farming advantages is protection of crops and plant from harsh weather condition.The reason is that the climate changing is causing growing conditions to become much more difficult. By using indoor farming method, temperature in the space of growing can be set at the level that is good for the growth of crops and plants. The indifferent weather conditions such as hurricanes, hail, drought and snap freezes have little or no effect on the produce. As global temperature is becoming unpredictable with the passage of time therefore many farmers considered this method of farming more suitable. Not all plants can be grown: Another thing that makes this idea unattractive for the farmer is limited varieties of vegetables and fruits. In fact, the grower are unable to grow the different varieties of fruits and vegetables in this indoor farming. The reason is that there are only a few varieties of vegetables and fruits that can be produced well in this controlled environment of farm. 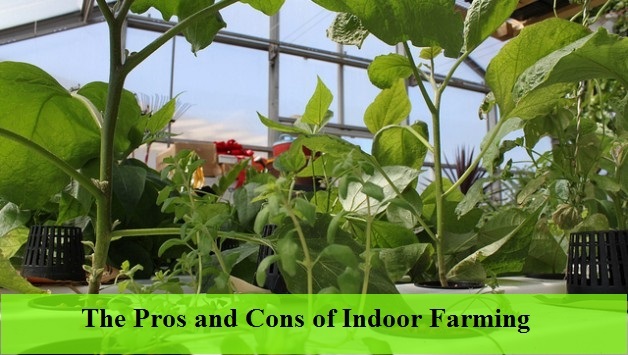 Due to these possible indoor farming disadvantages, some farmers still prefer the conventional farming over it. However, a person who wants to do something creative must go for this lucrative idea by paying more attention to indoor farming advantages and less onto its disadvantages. 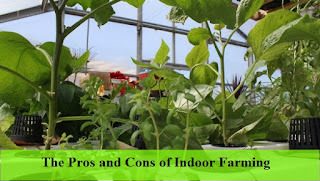 0 Response to "The Pros and Cons of Indoor Vertical Farming"